This supposedly “regular” column of mine is supposed to appear online every Friday. For the last fortnight it has belatedly arrived on Saturday instead. This week’s missive comes TWO DAYS overdue, on a Sunday. Tut tut. Better late than never. Recently I have been planning some changes to my site. Or more accurately, changes to the name of the site. 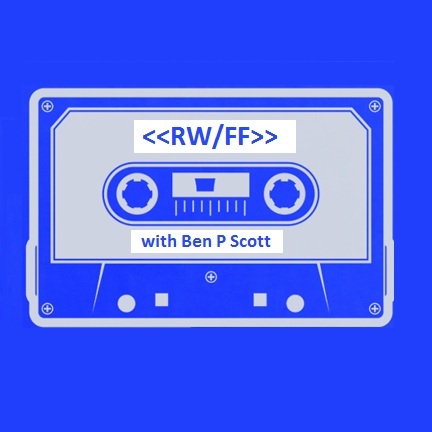 After three years of my site being known as Mr Scott:Music, it will now go under the new name of RW/FF, to tie in with this weekly music column of the same name. Everything else on the site will remain the same as before, slightly improved in fact, but it’s just the name that I felt needed to go. ‘Mr Scott:Music’ always was a pretty naff name for a website, after all it’s supposed to be about the music, not about me. When I began this site, I didn’t see much wrong with naming the site after myself, and my content was mostly reviews, news and music videos. A few years later and I’m literally writing the story of my life as well as writing about music new and old. If some people look at a website named after the author, where the author is also writing about themselves, it can feel a bit off-putting. I think a lot more readers (myself included) would prefer a site where the music comes first and where the personal side is an interesting touch that doesn’t come across as too self-centred. Unlike Radio 1 DJs, I don’t want to make myself bigger than the music. So to continue writing about my memories from a personal point of view and voicing my opinions with no holding back, I’ve had to change the name so there’s no danger of it coming across as some sort of ego project. But although I’m focusing less on myself by renaming the site, my posts will still continue to document the music I love, and therefore will still feature plenty of my memories and how my life has been shaped by the music I’ve been lucky enough to discover. My other intentions are to provide a music site that’s easy to navigate around and not too difficult to keep up to date with, and to hopefully build up a familiar (but unique) online presence to not only rival the likes of Drowned In Sound and the NME, but to massively improve on the quality. To do all of this while still maintaining the unique personal identity of the site is a challenge that I feel will improve my work. What I won’t be doing is turning the site into a faceless brand with no soul or personality. The site’s unique personal voice is something that sets it apart from the big music sites, but this doesn’t mean that my site is any less informative or insightful when it comes to reporting on the music. A lot of people ask me why I bother to keep the site going when I also write for God Is In The TV. The fact is that a lot of the other writers on the site also have their own music blogs, although there are a few people who write exclusively for GIITTV and therefore don’t require their own webspace. For a while I was sending Twitter followers and readers of this column to my “author page” on GIITTV, a link that’s supposed to show every single article I have contributed to the site. But a technical problem has meant that all the site’s author pages aren’t showing up with any posts from the last two months. I am also wary of the fact that when it comes to data and the internet, NOTHING is ever 100% safe. What if some unexpected catastrophe was to wipe out every single post on GIITTV? All of my work would literally be in the hands of someone else if I didn’t also have all those posts backed up on my own site. It’s not just an issue of security and peace of mind. GIITTV is a bit like the site NME.com could have been if they weren’t ruined by IPC… A diverse and varied site where the articles are written by a large team of passionate, knowledgeable writers, all with their own opinions and individual writing styles. It’s more like a collaborative thing. The sheer number of posts can sometimes make the site a bit difficult to keep updated with, and it’s harder to build up reader trust than it is with a site like mine. Why? Because if you come to trust someone’s recommendations and agree with their reviews, then you trust that writer. God Is In The TV has many writers, so being able to trust the opinions and insights of, for example, Bill Cummings or Simon Godley doesn’t mean that you’re also going to find my articles and reviews helpful. With a blog like mine, if you trust my opinions and share my tastes, then you’ll find plenty more to enjoy on the site in future. From my point of view, it’s also good to have a website that I have complete creative control over. Recently a fellow writer at GIITTV has decided to take a break from contributing to the site, choosing to concentrate on his own music blog instead. Creative control may have been a factor, but the main reason for his decision was the fact that contributing written work to a website without expecting any payment can financially devalue the writer’s craft if they do it for too long. After all, why would the likes of The Guardian or Q magazine pay you money for an article when you’ve become known for writing for free? With an endless amount of other aspiring writers doing it for free, a paid career in journalism is even harder to come by than ever before, especially when you’re writing about music. I’ve only been writing for God Is In The TV since the beginning of this year, and it has certainly raised my profile as a writer. Therefore I will continue to contribute to the site as usual and re-assess the situation if and when I need to. 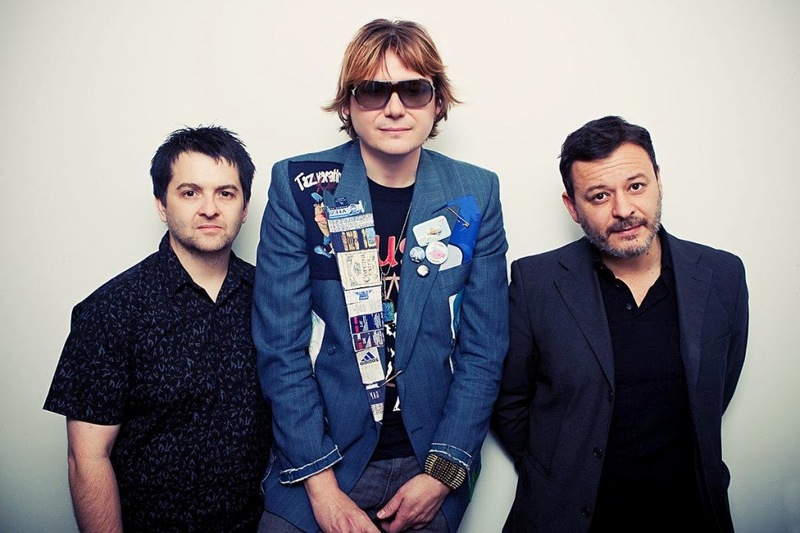 Out of all the British rock legends of our generation, the Manic Street Preachers are arguably the band that have stood the test of time most effectively. Through constant change and reinvention, with each record they have always come back as a slightly different group. All of their albums stand as particular snapshots of time that document the various points this band have arrived at during their long journey together, and now their 11th LP marks the dawn of another new era for the group. Luckily at some point over the last three years, an unplanned jolt of inspiration seems to have breathed new life into the Manics. ‘Rewind The Film’ is an album that proves magic can occur when a band follows its instincts rather than pushing hard for calculated results. After carefully preparing myself to listen to it for the first time last Friday, I haven’t been able to stop playing it since. From the beginning it immediately feels like a more relaxed affair, the wonderfully understated opener ‘This Sullen Welsh Heart’ a complete contrast to the previous album’s stadium theatrics, bombast being left behind in favour of gentle sincerity and humble charm. There’s a sense of defeated resignation, yet it isn’t long before that determined spirit appears. The Welsh legends are known for finding strength through embracing new challenges, “The act of creation saves us from despair” a line that provides not only a fantastic summary of this album, but the band’s entire career. Echoes of 2004’s ‘The Love Of Richard Nixon’ can be heard on the brilliantly provocative closer ’30 Year War’, raging against the Tory “old boy network” against a backdrop of funk bass and punchy drum machine beats. Rather than attempting to recreate their past, the most important part their history has played in ‘Rewind The Film’ was bringing them to the point which they are now at. Those of us who have grown up with the music of the Manics should be glad that their music continues to grow with them. We should be also thankful that out of all the bands who have appeared over the last three decades, it’s this incredible group that have survived to tell the tale. Their battles have left them bruised and scarred, but its their experiences that have shaped them, installing a unique emotion into the heart of their music. Over the last couple of years the continuing decline of mainstream music has often been a source of annoyance, frustration and sometimes sheer disbelief. But away from the spotlight of the mainstream, some interesting music is definitely growing. Perhaps the lack of commercial expectations is encouraging a new level of creativity in some artists. One of the most positive things of the last few years has been the gradual rise of a new psychedelic movement, a movement that has seen the ascent of The Horrors and Tame Impala, and the emergence of Toy, Hookworms and Teeth Of The Sea to name a few. But it’s another British band who I feel are the ones most likely to break the mould and take nu-psychedelica to a different level. Temples immediately made an impression on me with their debut single ‘Shelter Song’, which I had discovered on the ‘Echoes’ compilation given away with MOJO magazine earlier this year. Their recent ‘Colours To Life’ was the track that confirmed that this London four piece may very well be a truly special band. Their rise continues with the brand new single ‘Keep In The Dark’, another stellar single that bodes incredibly well for the future. Their debut LP is expected early next year. In the meantime this awesome track, their second single for Fat Possum records, can be heard below. 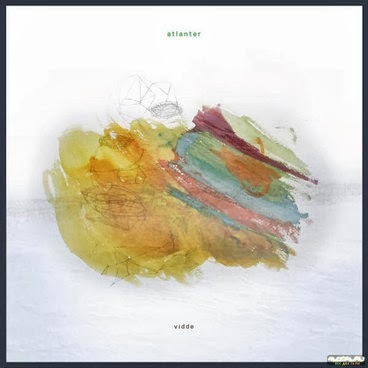 Another example of exquisite musical magic I’ve been enjoying recently has come courtesy of ‘Vidde’, the fantastic debut LP from Norway’s Atlanter. According to the press release “The band describe their thoroughly eclectic sound as ‘Viddeblues’. ‘Vidde’ in Norwegian, refers to an open mountain landscape; an image as elemental as their blues and folklore inspired roots”. This album does a great job of conjuring up such images, a record that inspires the imagination to paint vivid pictures. The band are led by Jens Carelius and Arild Hammerø, with percussionist Jonas Barsten Johnsen and bassist Morten Kvam bringing together musical experiences from within jazz, folk, rock and improv music. The opening ‘Tree Song’ served as my introduction to this group and quickly became a favourite track of mine, so I was keen to find out if the rest of the album delivered such high quality. I was not disappointed. ‘Vidde’ is the sort of record that entices you to spend more time with it. On the first listen I just knew this accessible yet progressive music would grow, revealing more as it intrigues and charms with each listen. There are all sorts of fascinating and refreshingly natural sounds here, ranging from the intertwining guitar picking to the almost jazz-like rhythms, where the repetitions bring to mind krautrock and the vocal harmonies add more colour to the mixture of desert blues and psychedelica. ‘Vidde’ is released tomorrow on August 26, and you’d be an absolute fool not to give it a chance… I’ll post a link to my nearly-finished full review in next week’s column. What other new albums have I been listening to recently? Too many to list, but as well as Steve Cradock‘s rather fantastic ‘Travel Wild Travel Free’ (due for release in September) I’ve also been listening to ‘Rubies And Ruffians’, the second LP from Strumpets, The Orb’s upcoming boxset ‘A History Of The Future’, Pond’s ‘Hobo Rocket’, The Lost Cavalry’s ‘Three Cheers For The Undertaker’ and Franz Ferdinand’s new one ‘Right Thoughts, Right Words, Right Action’. In fact there’s a rather good review of the Franz album courtesy of God Is In The TV’s Tom Willmott, which you can read HERE. I’ve only played it once, but I’m definitely going to be playing ‘Right Thoughts, Right Words, Right Action’ again, maybe after I finish writing this column in fact. Which is more than I can say for the new Travis album ‘Where You Stand’. That’s not to say I’ve only played it once, in fact I’ve played it enough times to give it a fair hearing. But it’s unlikely I’m going to be playing it again for a while. Their first two albums were brilliant and their third was flawed yet impressive enough. But ever since they seem to have become increasingly boring, and their sixth LP fails to arrest their decline. 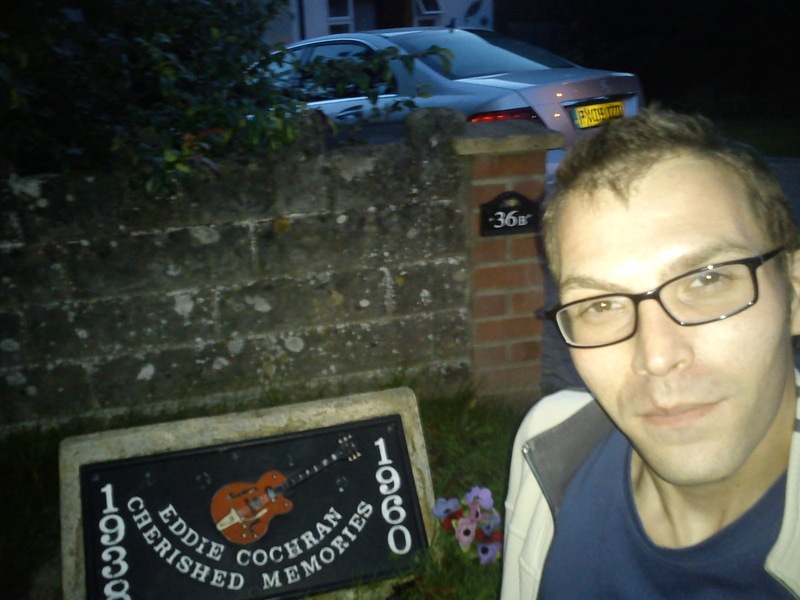 With the exception of the lovely Lennon-esque ‘Warning Sign’, the bright ‘On My Wall’, and the surprising ‘New Shoes’, ‘Where You Stand’ is a bland, uninspired effort that offers very little in the way of memorable songs. Much of it drifts by aimlessly, uninteresting songs that are short of hooks and lacking in vitality. The choruses fall flat where they used to soar and Fran Healey’s vocal delivery is dull as dishwater. It’s not an unlistenable record, just an unremarkable one that fades into the background no matter how many times you play it. Travis sound desperate, tired and in need of some new ideas. PART ONE My earliest musical memories of the early 90’s. Queen, Kylie Minogue, East 17, Michael Jackson… mostly horrible. Music writer for God Is In The TV, and my own RW/FF. Eight Rounds Rapid are brill, new band piece on them soon!